From January 14-19, 2016, Metropolitan Joseph visited the faithful in Mexico and participated in the celebration marking the 50th anniversary of the episcopacy of Antiochian Orthodox Metropolitan Antonio (Chedraoui) of Mexico, Central America and Venezuela. January 17 was Sayedna Antonio's 84th birthday and also, his namesday. 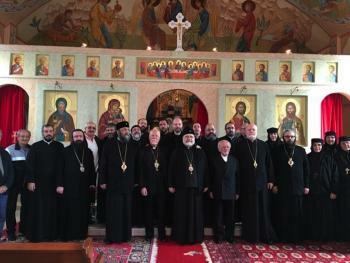 The memorable Hierarchical Divine Liturgy was presided over by their Eminences the Archbishops and Bishops of the Patriarchate, and distinguished guests.